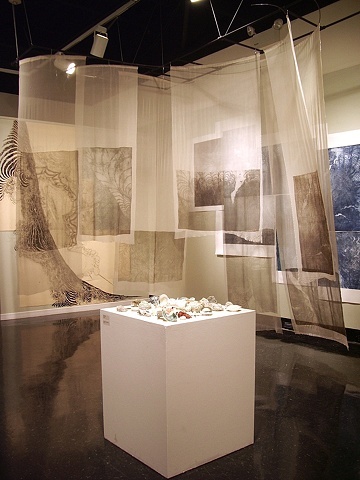 This was the Installation I created for my MFA thesis. 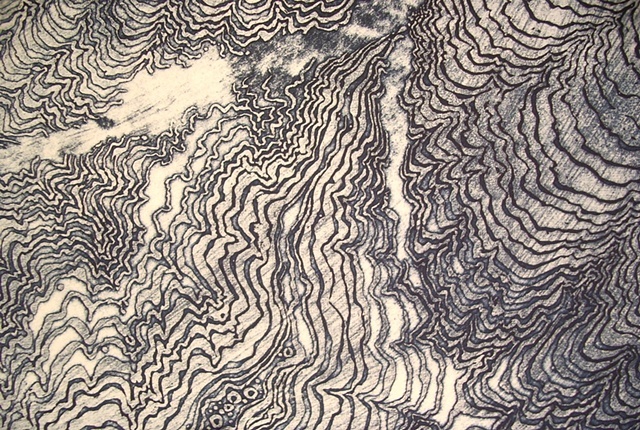 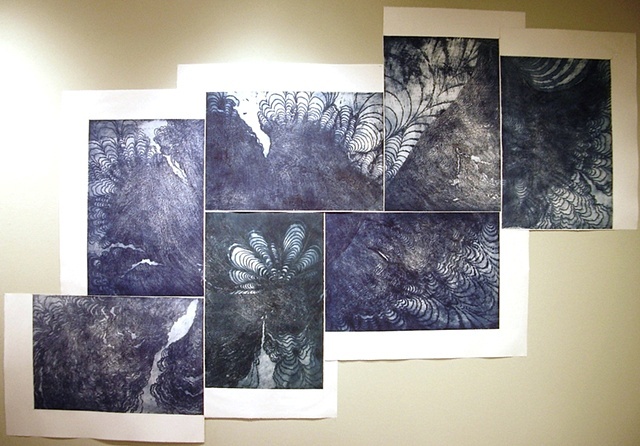 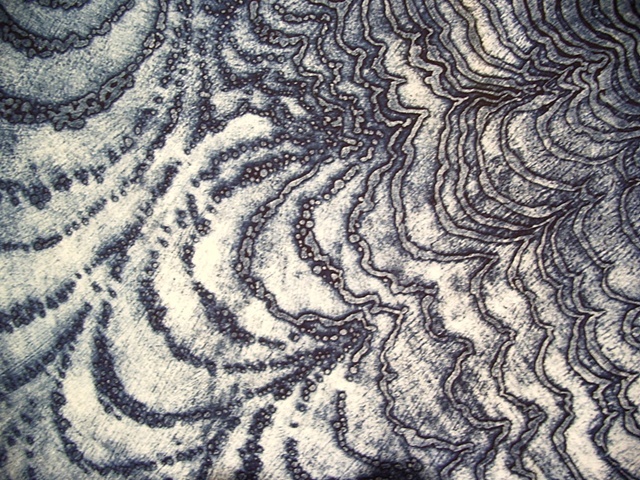 It consisted of seven large intaglio prints that formed a modular whole. 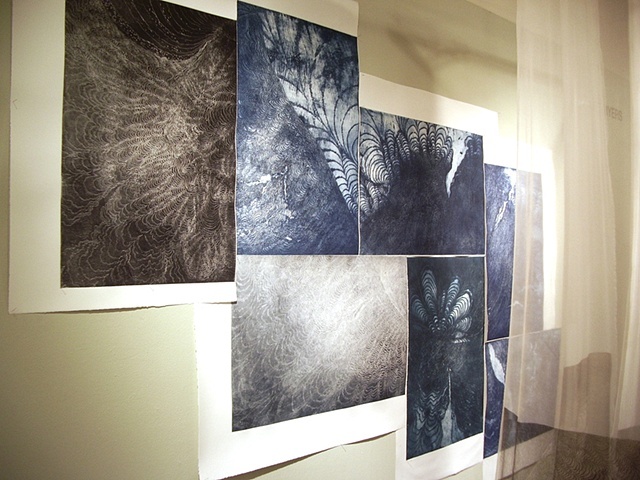 I printed these pieces on large papers that were pinned directly to the wall. 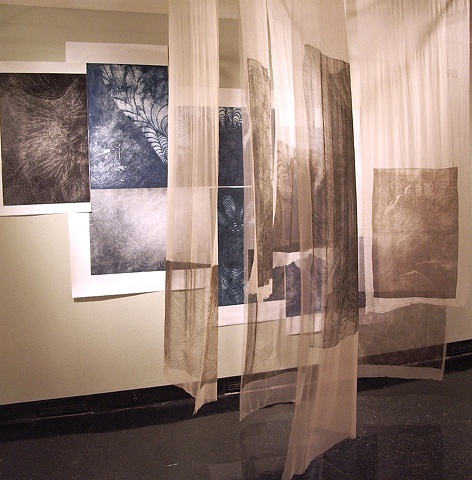 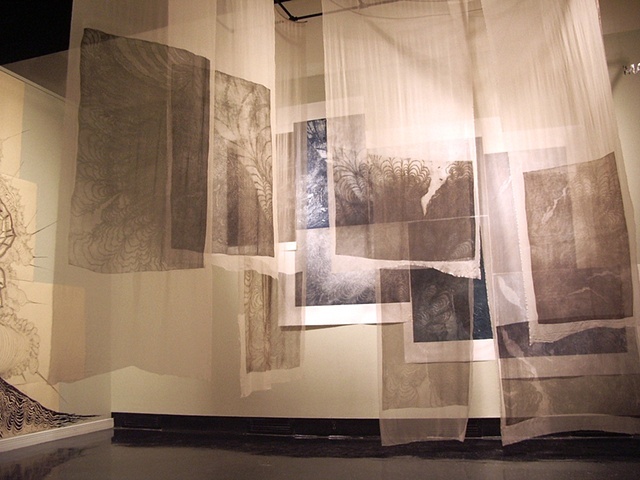 Immediately in front of this set, I printed the same imagery with a brown ink onto silk gauze from sculpted rods suspended from the ceiling. 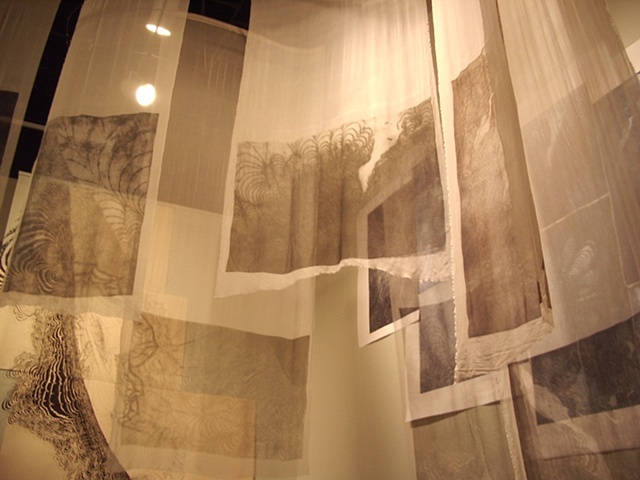 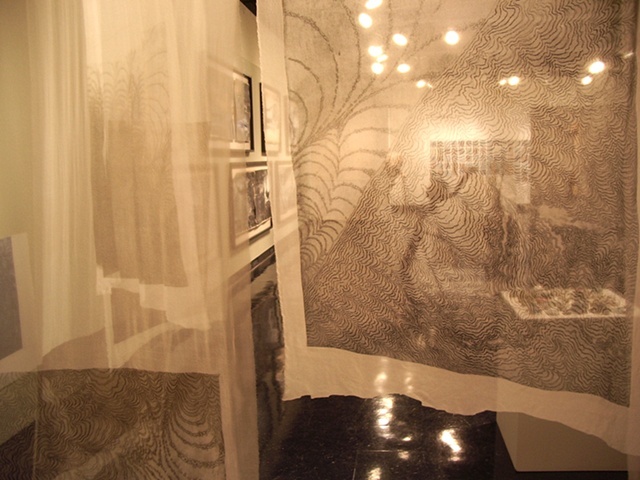 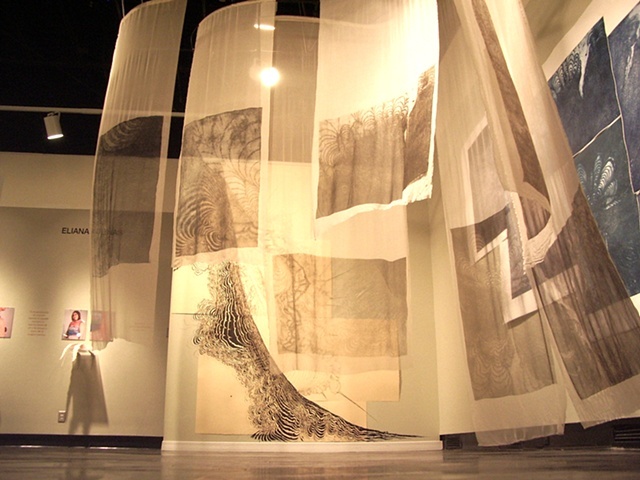 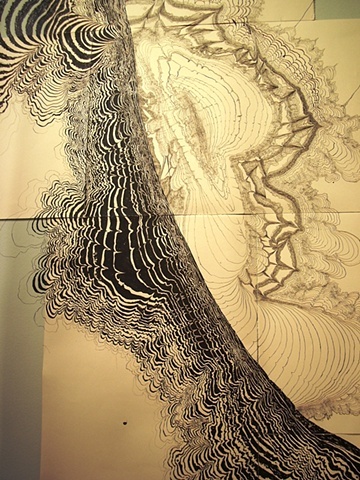 On an adjacent wall, I exhibited a large drawing that spanned several sheets of paper and extended onto the wall. 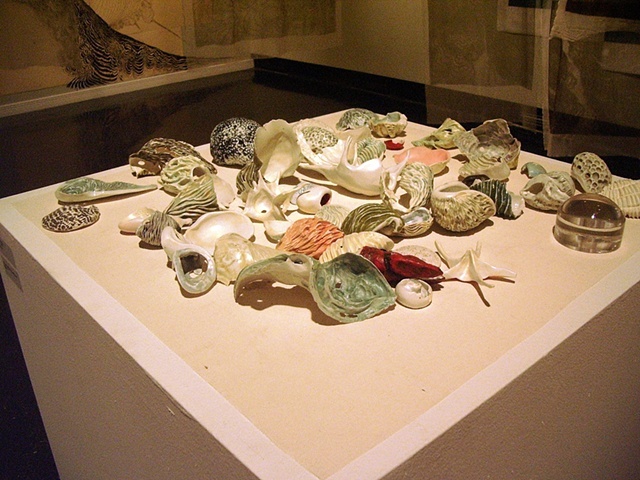 I also created a collection porcelain seashell-like miniature sculptures that were shown in the installation. 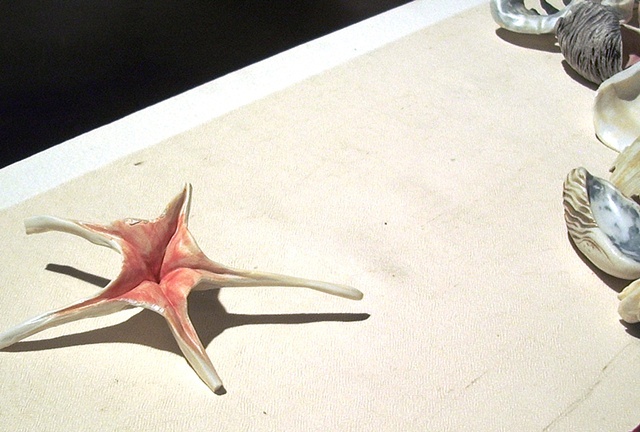 The porcelain pieces could be held and examined by visitors.